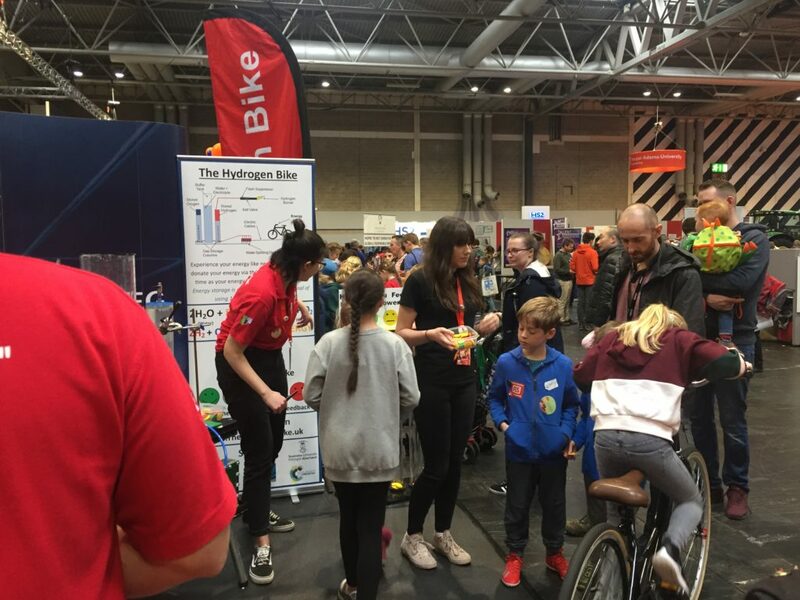 This year part of the MEng team accompanied the Hydrogen Bike to the NEC in Birmingham. The fair hosts a collection of the biggest engineering companies from around the world displaying their past, present and future projects. 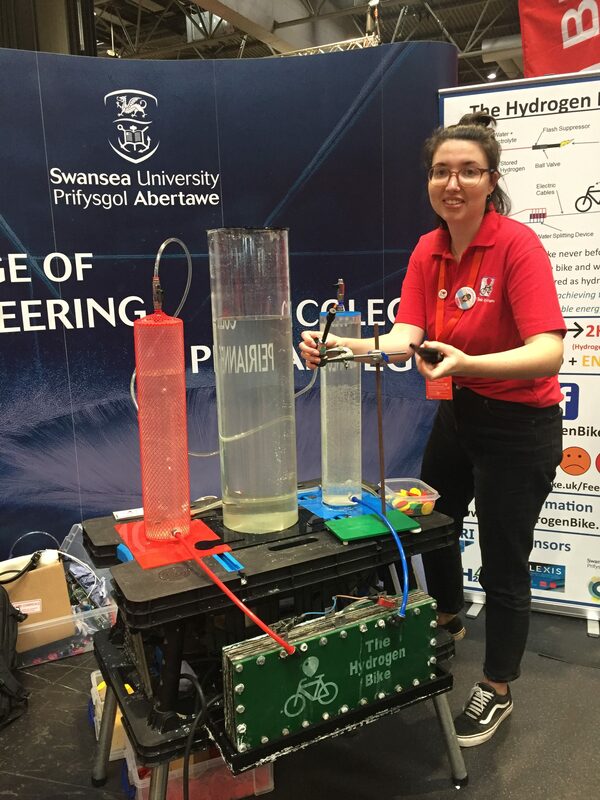 This was a great opportunity to showcase hydrogen technology to people of all ages and abilities, and a fantastic day for the MEng group, allowing them to take part in outreach regarding hydrogen and their own work. 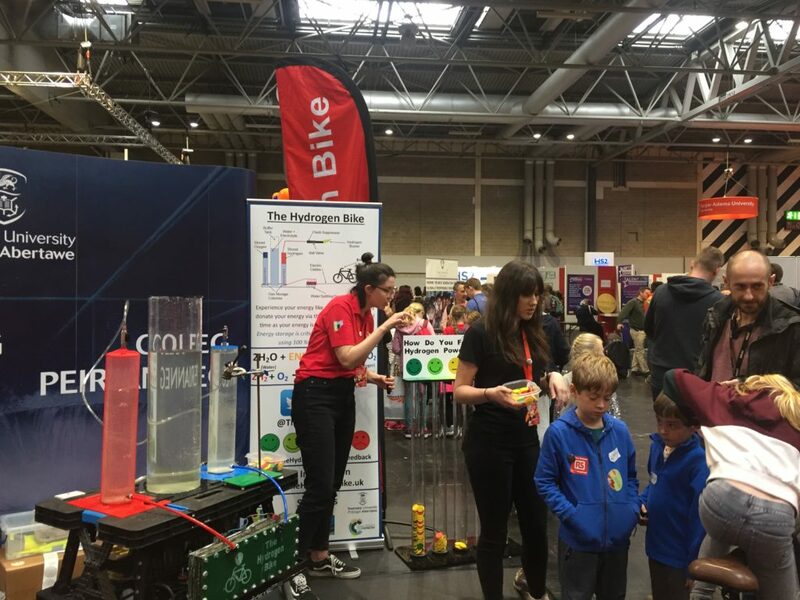 Thousands of conversations took place over the 4 days, spreading the news of hydrogen around the country.